As of just now the Astronaut Jing Haipeng, Commander, has reached Space after launching on the October 16, 2016. Jing Haipeng is from China and for more information you can read all about it on http://ift.tt/2dUIBX6. As of just now the Astronaut Chen Dong, Flight Engineer, has reached Space after launching on the October 16, 2016. Chen Dong is from China and for more information you can read all about it on http://ift.tt/2dh34at. As of just now the Astronaut Kate Rubins, Flight Engineer, has reached Space after launching on the July 06, 2016. Kate Rubins is from USA and for more information you can read all about it on http://ift.tt/29nrDBV. As of just now the Astronaut Anatoly Ivanishin, Flight Engineer, has reached Space after launching on the July 06, 2016. Anatoly Ivanishin is from Russia and for more information you can read all about it on http://ift.tt/29p7BmB. As of just now the Astronaut Takuya Onishi, Flight Engineer, has reached Space after launching on the July 06, 2016. Takuya Onishi is from Japan and for more information you can read all about it on http://ift.tt/29nrX3v. 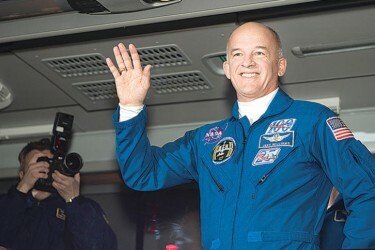 As of just now the Astronaut Jeff Williams, Flight Engineer, has reached Space after launching on the March 18, 2016. Jeff Williams is from USA and for more information you can read all about it on http://ift.tt/1nVtmPN.